If you fail to Access Admin Or Blank White Page After Install Or Update of any WordPress theme or plugin or both. Here is the ultimate instant solution for bloggers, marketers , entrepreneurs and business owners. After installing a new theme or plugin, or updating a theme or plugin, your site may return a blank white page or keep you from accessing the admin area. Majority of the time when you see a white screen of death, it means that you exhausted the memory limit. This could be caused by a plugin that you may be using that is not functioning properly. It could also be caused by a poorly coded theme that you are using. It could also mean that there is an issue with your web hosting server. Since the problem can be caused by any number of things, it may require a lot of troubleshooting. Go to wp-content and rename the plugins folder to plugins-off (this will deactivate all plugins). Return to your WordPress admin and see if access is restored. If yes, you have a conflicting plugin. Rename the folder back to plugins, then visit the Plugins area in your admin and reactivate each plugin one at a time, starting with WooCommerce or other “critical” plugins until you trigger the one that breaks the site again. To resolve the plugin conflict, delete the plugin folder via FTP or repeat the above and leave that plugin deactivated. You must have at least one default theme in the themes folder for this to work. WordPress will automatically activate TwentyFourteen if available. If yes, reinstall and reactivate your theme using a fresh download of the latest version. If no, the issue is likely not your theme or a plugin and likely has to do with WordPress or your server configuration. 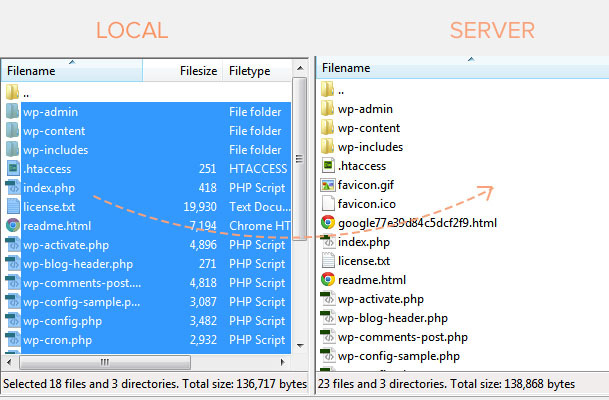 Connect to your site via FTP and upload the contents of the unzipped wordpress folder to your site root and overwrite the existing. When viewing the wordpress folder contents on your computer, it should look very similar to your site folders (ie you should see a wp-admin, wp-content and wp-includes with a bunch of files). This will NOT overwrite your config or site content/uploads, plugins or themes. When the transfer/overwrite is complete, attempt to access your admin again (it should work now). Try increasing the allowed memory in your php.ini to 64M or higher. You may need your host to do this for you. We understand that this is a very frustrating error, and we hope that one of the tricks above fixed the issue for you. What have you tried that seemed to work for you? If you found another solution to work, then please let us know. We would be happy to expand on this resource, so others do not have to waste as much time finding a solution.